Nassau, Bahamas – Officials from the Department of Inland Revenue welcomed four delegates from Suriname, who are in The Bahamas this week, on a fact finding mission on The Bahamas’ implementation of Value Added Tax (VAT). The delegates, Marita Wijnerman, Jan Bolman, Remie Belliot and Joan Vuldhuizen, arrived on Sunday and will leave on Friday. The delegates have already met with Minister of State for Finance, Michael Halkitis and Acting Financial Secretary Simon Wilson, who both welcomed the delegation and briefly discussed how the government went about with VAT implementation. 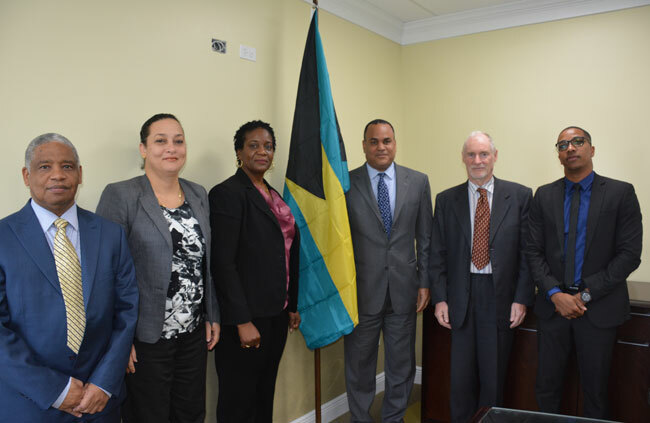 The delegates also met with former VAT Comptroller and Financial Secretary, John Rolle.The delegates will meet with several stakeholders while they are here including Bahamas Institute of Chartered Accounts (BICA), Department of Customs Officials, Executives from the Department of Inland Revenue among others. VAT was implemented in The Bahamas on January 1st 2015. CARTAC is one of eight IMF Regional Technical Assistance Centers (RTACs) located around the world in the Pacific, the Caribbean, in Africa, the Middle East, and Central America.For further information, visit the Department of Inland Revenue’s new website at www.inlandrevenue.finance.gov.bs/, email taxinquiries@bahamas.gov.bs or call (242) 461-8050.